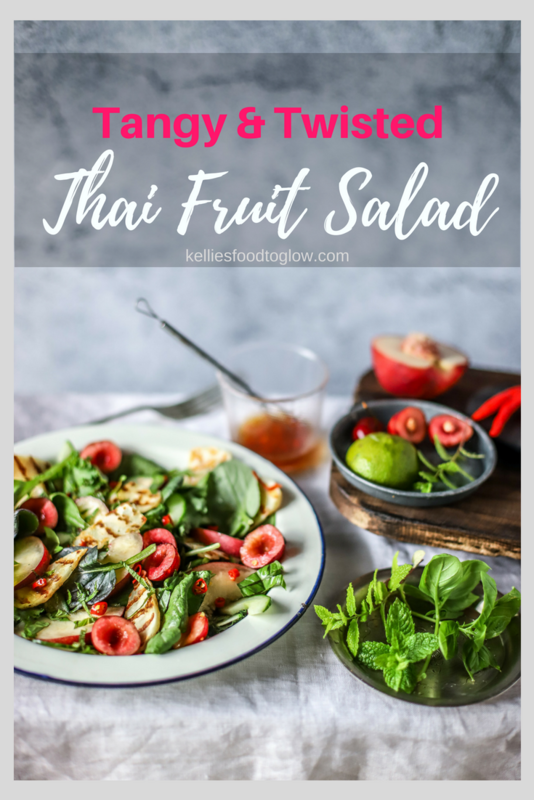 Thai fruit salad meets British stone fruit and griddled halloumi cheese for a Western take on a wonderfully fresh and tangy salad. Let me tell you about this Thai fruit salad. First off, it is not traditional in the least. No fish sauce, no tropical fruit, no pounding and no dried shrimp. Are you relieved about the fish part? Although this is not a faithful iteration of the classic Som Tum Pon La Mai (pounded sour fruit salad), I’ve ticked the essentials: tangy, salty, savoury, spicy and sweet. In other words, the taste of Thailand on a plate. What’s twisted about this Thai fruit salad? Three words: stone fruits and halloumi. Okay, four words, but ‘and’ doesn’t count, does it? Stone fruits are particularly glorious at this time of year. Not only are cherries, plums, pluots, greengages, nectarines, peaches, plums and apricots burstingly fragrant and juicy right now, they are cheap enough to toss in your basket without much thought. At other times of the year cherries are unaffordable to most of us in the UK – me included. But they are right here, right now, growing on a tree near you. We’ve got a wonderfully giving Victoria plum tree (the queen of plums) espaliered across the back of our garage, and it’s nearly time to harvest its thickly-set, plumptious fruits. Ever the catastrophist, I’m metaphorically sticking my fingers in my ears and going ” la la la la la” to the clock ticking down the days until they are gone. With my £4 box of British cherries I’ve made batches of water kefir, a cherry version of this yogurt cake, and a salsa (not my crab salsa though). Mostly they are for snacking on though. And tossing into salads. I woke up Sunday desperate to make this salad. I had a little lightbulb moment the night before where various ingredients danced around in my brain, jostling for position. But I wasn’t prepared to upset the cat and my digestion to test it out at midnight. Especially as several recipes had popped unbidden and urgent into my head. So, Sunday morning was a frenzy of recipe development, with three new ones prepared, written up and photographed. I felt very efficient. And very hungry. This simple salad saved me from collapsing in a heap. Its sweet, savoury, tangy and salty elements tasted glorious all together. I don’t often urge you to do anything, but I do urge you to give this easy, light lunch of a salad a go before the stone fruits vanish into memory. Hotbeds of nutritional goodies like collagen-boosting vitamin C, potassium, carotenoids, bone-strengthening vitamin K, and fibre, stone fruits can be eaten raw or cooked with very little preparation. Unlike other fruits, stone fruits (and berries) don’t keep well, so making jams, vinegars, compotes and freezing them make them last longer. As far as keeping them fresh, you are best to ripen them at room temperature, then pop them in the fridge when they ripen. Same with avocados – which you can totally add here in place of the halloumi if you are vegan. Once in the fridge they will last a few days. I think that keeping them in a paper bag makes them last a little bit longer, but this is anecdotal. When they are past their prime, don’t bin them. Jam them. Their natural pectin makes stone fruit jams an absolute doddle as they set well. Where typically you would use tropical fruits (natch), and add fish sauce to the dressing, we have here British stone fruits. I’ve used cherries and nectarines, but peaches and plums would be great, too. Or do use the tropicals if your tastebuds have reached peak stone fruit. Any of these fruits could be griddled before the sliced halloumi gains its smoky stripes. Or some griddled and some not. I wanted to keep this fast and fresh, but you are the boss of your kitchen, so tweak away with the basics. Vibrantly fresh basil and mint are shredded, limes squeezed and fiery Thai chillies are chopped to complete this salad. If you aren’t doing the halloumi thing (a must if you aren’t vegan), make sure to include the otherwise optional soy sauce for the essential salty element. Thinking about the fruit thing, if our recent prolonged heatwave is anything to go by we may just be on the verge of growing tropical fruits. So just go with what’s growing near you for this one. If you’ve got pineapples in Putney, do let me know! Are you bingeing on all the fresh stuff? What’s your favourite fruity snack right now? 1. Whisk together the lime juice, soy sauce/salt, honey/maple syrup and chilli. Set aside. 2. Heat a griddle pan or sauce pan and add the halloumi slices when hot. Cook until you get nice griddle marks or its golden and soft; flip and cook a little less time. 3. While the cheese is cooking, slice the nectarine and stone and halve the cherries; thinly shred the mint and basil. 4. Lay the salad leaves on two plates and top with the fruits, cheese and herbs. Drizzle over the dressing and eat immediately. 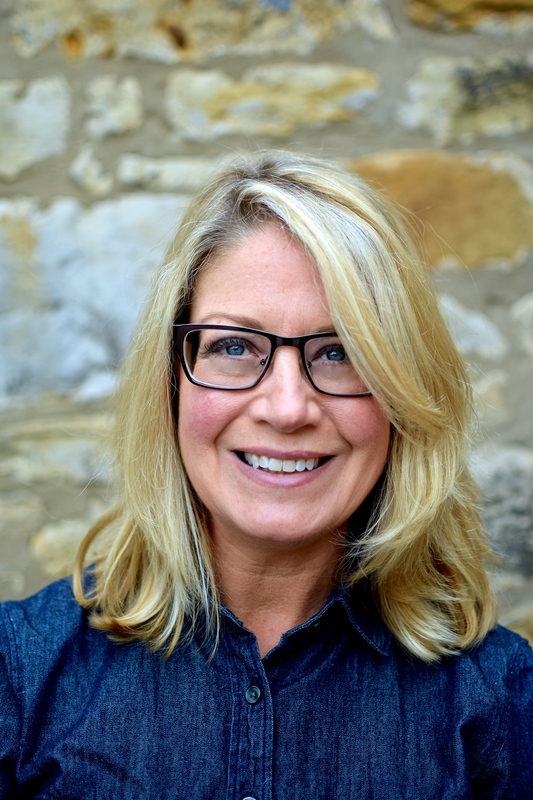 Follow my Facebook and Instagram accounts for extra, ultra-simple, complete recipes that don’t appear on the blog. Here’s my latest, a quick Honey-Gochujang Tofu Stir-Fry. I love your lightbulb moments. This is brilliant. All taste bases covered and a kicking heat from the chilli!!!! If someone placed this in front of me right now I would be the happiest person. It looks wonderful on so many counts. Such a cracking combo, thanks for posing such glorious recipes. Love the play between stone fruit, grilled halloumi, and the zingy dressing. I will be making this! My favorite summer fruit to snack on is by far cherries, figs and just – cut (not cold) melon. You did tick the essential flavors list in this salad. Made it this weekend and we LOVED everything about it. Thanks Kellie!